I found this scan from MT and it was in day time i make it sunset time ^_^"
Ahh...what a nice wall. 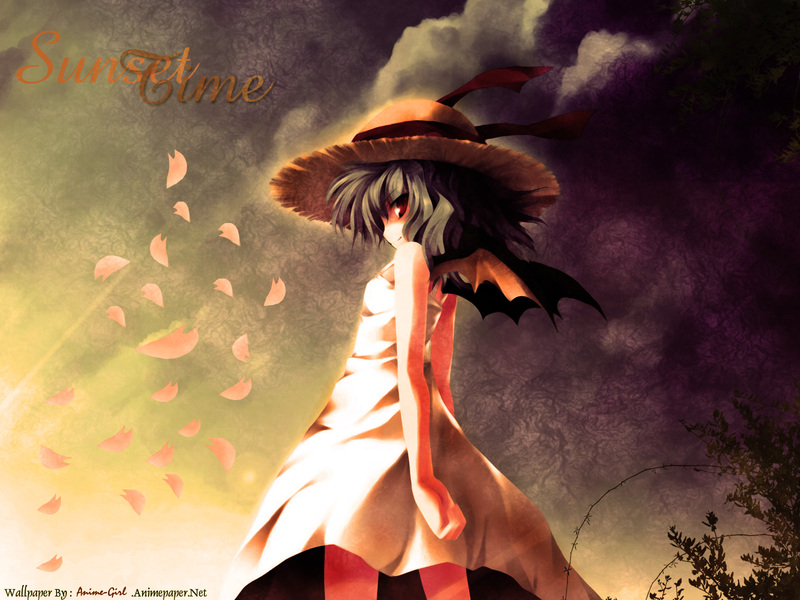 I want to say this is Remilia, from Touhou, though I'm not positive. Her eye color and hair style is right, and the wings are too. But Remilia doesn't wear that hat. Well, I'm about .. 70% sure this is from Touhou. very nice, background and the render goes very well, not sure on the glow behind the render tho. Whoaa is that really ur wallpaper O_O.Awesome!. woooow! this wall is so awesome! any words! T_T........... i like it! I love Yume-chan expression so much! Vector are so neat, not too sharp and not too blur. It's perfect! I think your cellshading not bad. BG are so smooth and fit perfectly. Overally, this wall is very OK>_<(kyaaa).